Is Rashtriya Swayam Sangh (RSS) making desperate, all-out attempt to ensure that its leaders, including RSS supremo Mohan Bhagwat, are not implicated in the terrorist attack on Samjhauta Express, which took place on February 18, 2007? Being severally quoted as a glaring example of “saffron terror”, in which 68 persons were killed, a top BJP insider has told Counterview that RSS suspects a “file is pending” in the Union Ministry of Home Affairs which links the blast to some of the top RSS men. “Following the revelation that the UPA government may move to implicate RSS men, Bhagwat and others want to do everything in their capacity to remove Congress from power”, the insider said. “The RSS knows well that in case BJP fails to return to power at the Centre following the Lok Sabha elections, the UPA, or any other force which takes up the reins of power, would do all it can to link the Samjhauta Express blast with saffron outfits. This is the only reason why it is not taking any chances and is wooing those who have been known opponents of the BJP’s prime ministerial candidate Narendra Modi, such as former CM Keshubhai Patel or his right-hand supporter Gordhan Zadaphia, who split from the BJP to form the Gujarat Parivartan Party (GPP)”, this insider said, requesting anonymity. The insider, who held important positions in Gujarat government in the past and was close to former Prime Minister AB Vajpayee, said, this was the reason behind the decision of RSS to “influence Keshubhai and Zadaphia to make them rejoin BJP”. Following the recent Keshubhai’s resignation as GPP MLA, the insider pointed out, Zadaphia began “negotiating” with Modi. “He has held two rounds of talks. First, as part of the compromise, Zadaphia demanded that he be reinstated as state BJP general secretary, a post he once held. Modi refused outrightly. Then, Modi offered Zadaphia to fight polls from Bhavnagar”, the insider said. According to this insider, by doing so, Modi’s strategy is to achieve his long-drawn-out purpose – of ensuring that one of his most prominent opponents within the party, Bhavnagar MP Rajendrasinh Rana, who is known to be close to the RSS establishment, is sidelined. “Zadaphia is a Patel, and he won about one lakh votes in the last parliamentary polls fighting as a BJP rebel. The return of Zadaphia would signify further boost to BJP in Saurashtra and South Gujarat, as the Patels’ supporter would further solidify all around”, said the insider. Already, three Patel leaders have left Congress to join BJP – ex-deputy PM Narhari Amin, Saurashtra strongman and MLA Vitthal Radadia, and another MLA Bavku Undhad, who is a former BJP rebel. 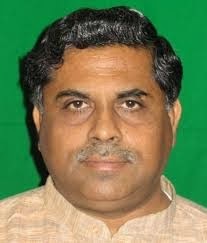 Keshubhai, considered the supreme leader of Patels in Gujarat, has gone inactive citing health reasons. “And with Zadaphia’s return, the circle would be complete, and one of the biggest vote banks of the Saurashtra and South Gujarat region, Modi expects, would be in BJP pocket. At the same time, his opponent Rana would be dropped and punished for sheltering ex-RSS strongman Sanjay Joshi, the biggest opponent of Modi in RSS”. “Not without reason”, the insider said, “Modi wants to make a big show of return of Zadaphia back to the party by holding a well-attended rally, possibly in Bhavnagar, to showcase the Patel support to Modi. 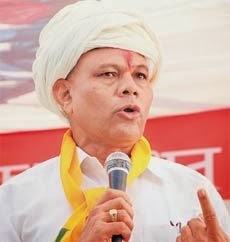 The GPP would be declared as having formally returned to the parent organization, with Zadaphia declared as the BJP’s Bhavnagar candidate for the Lok Sabha polls. Even though a long-time opponent of Modi, Zadaphia is convinced: In any riots related case, he and Modi would be in the same boat; hence they must support each other.” Zadaphia was Modi's home minister during the 2002 anti-minority riots. Meanwhile, the “process” of return of Zadaphia to BJP, and especially his candidature from Bhavnagar, has made Rana cautious. “Rana has sent a feeler among his caste brethren, Darbar Rajputs, that they are being neglected by Modi at the expense of Patels. There is not one Rajput leader in the entire Saurashtra region who is happy with the development. It is quite possible that, if this happens, the influential Darbar Rajputs and OBC Thakores, who are identified as “lower Rajputs”, who would return to the Congress-fold. “It is anybody’s guess as to what might happen in such a scenario”, the insider pointed out.